Examination in ultra-violet radiation helps ascertain the extent and type of varnish present on a painting, according to characteristic fluorescence colours. Later repainting can also be identified as darkly, or non-, fluorescing areas lying above or between brightly fluorescing varnish layers. This can be used to reveal hidden features that identify an artist’s technique. The infra-red radiation is selectively reflected, transmitted or absorbed by the materials present in the painting, and under drawing and changes in design may be thus revealed. Captured on infra-red sensitive photographic film, the images are printed as black and white photographs. X-radiography provides information about the structure and technique of a painting. It can reveal changes in the artist’s design such as alterations or later additions. Over-painting, double-paintings and paintings on the reverse may also be revealed. 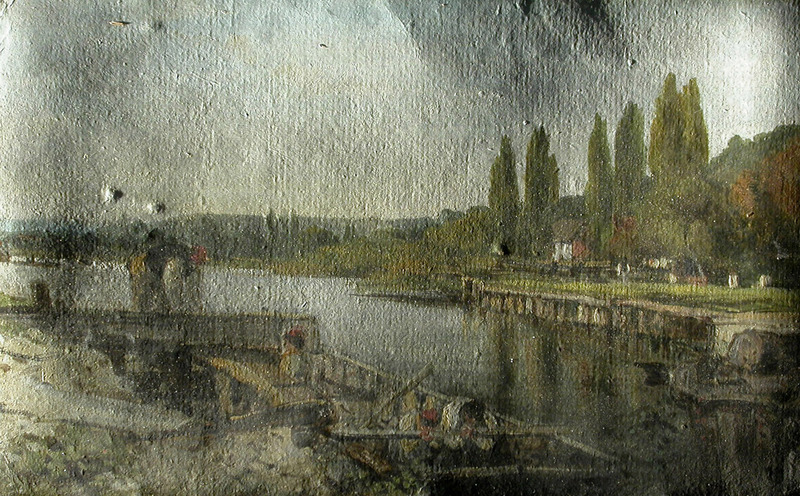 Information about the structure of the support of a painting may be exposed, for example, the composition of canvases and panels, or frames, and their condition, e.g. the location, extent and nature of tears, holes, inlays and internal cracks or woodworm damage. X-ray plates are relatively small (43×35 cm), however, a composite image of a large painting can be created by assembling several X-radiographs using a computer software. Tiny core samples of paint are taken from discrete and representative areas and mounted in clear resin to reveal the structure of the paint layers. This can provide an accurate chronology for the construction of the original painted work, and greatly assist the distinction of later repaints from original material. Pigment analysis is undertaken to establish the contents of an artist’s palette or identify the pigments used in a decorative paint scheme. It can often prove useful when dating paintings. Studio techniques involve the visual observation of pigment dispersions (pigment powder, mounted in a clear-setting resin) with a polarising light microscope, using gemmological and mineralogical optical analytical processes. Energy Dispersive X-ray analysis, under a scanning electron microscope (EDX – SEM), is a technique that is also used to pin-point the precise elemental composition of paint cross-sections. 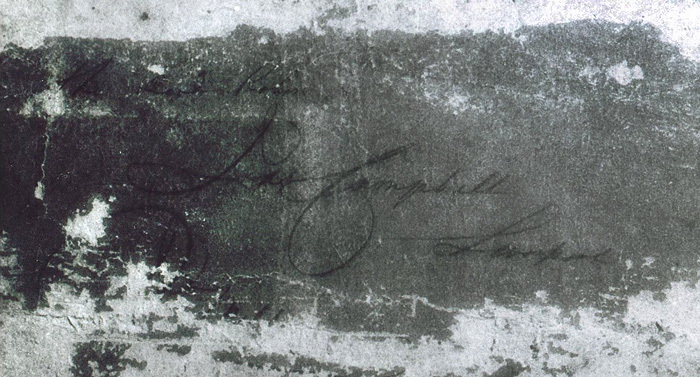 Media analysis can provide important information about an artist’s technique, and helps to guide decisions regarding the most appropriate conservation treatments to use. Cross-sections can be treated with stains, which indicate the presence of certain materials such as lipids (suggesting an oil-containing medium), or proteins (signifying a gum-, casein- or animal glue-based medium). More conclusive results may be obtained using Gas Chromatography-Mass Spectrometry (GC-MS) for oil and protein based media. The results obtained from these techniques can be interpreted to reveal the type of lipid or protein medium used.